The weather lately has been less than optimal for us Edmontonians, but what is the first drink you think of when you think of the cold? Something that is warm, add a few marshmallows, curl up by a fire, add a book, a rocking chair... whoa, almost fell asleep there! 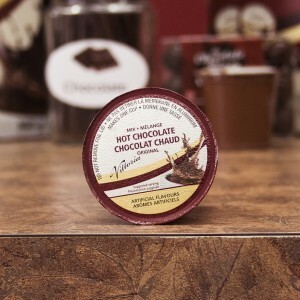 But that's right, we now have single-serve hot chocolates. No longer do you have to stress about heating some water, getting out your hot chocolate dust, and making a cup. 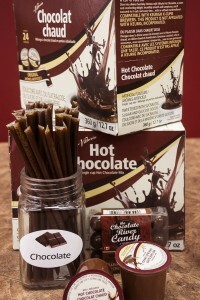 With the push of a button, you can now have the perfect, single cup of hot chocolate. Pictured above: other chocolate treats you might find at Brew Ville. Don't forget, if you're feeling a little cold, and happen to be around our Whyte Ave location, pop in and grab a hot chocolate for the road. Just a single dollar! Cya soon.